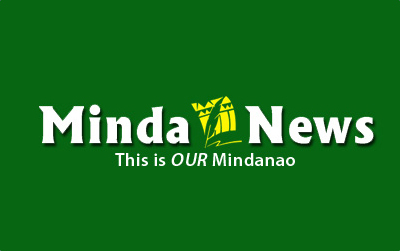 MALAYBALAY CITY (MindaNews / 23 May) – President Duterte’s rants against the United States, European Union, United Nations and other foreign institutions early in his term and onward, although dismissed by many as just an expression of his annoyance over criticisms on the government’s bloody war on drugs, signaled a shift in the country’s foreign policy position. It may not have resulted in an “independent foreign policy” as Duterte would like to insist, but a shift is happening nonetheless. Alongside the avowed distancing of the Philippines from its traditional allies in the international scene, Duterte is leaning towards China to the point of compromising the country’s stakes in the West Philippine Sea. He has argued that asserting Philippine sovereignty on that emergent flashpoint would only invite military aggression from Beijing, as if the militarization of the reefs and islets there isn’t aggression enough. Contrast Duterte’s acquiescence to Chinese invasion of Philippine territory, including an exploration of the Philippine Rise which was kept a secret until it was over, to the bold stance of Indonesia and Vietnam against similar attempts by China in their possessions in the South China Sea. Unlike our two Southeast Asian neighbors, he misses the point that standing up to a regional bully doesn’t necessarily mean a declaration of war. Of late, he flaunted Chinese President Xi Jinping’s supposed assurance that “we will not allow you to be taken out from your office, and we will not allow the Philippines to go to the dogs.” No self-respecting leader would dare say that in public. He, however, relishes his role as a Chinese vassal. 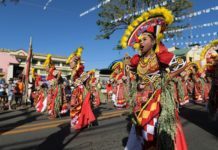 Last month, before leaving for his third official visit to China, Duterte declared, “More than anybody else at this time of our national life, I need China. I will not say something which is not true.” It can thus be said that his audiences with Xi were nothing more than paying homage to the master. The question in everyone’s mind must be why the current administration seems so enamored with Beijing that it sees nothing wrong in issuing treasonous statements in relation to the Philippines’ territorial row with China. In fact, the president has often chided his predecessor for bringing the case to the Permanent Arbitral Tribunal in The Hague, which came out with a ruling favorable to the Philippines in July 2016. Another way of stating it is that he would rather concede Philippine territory, if only to earn some favors (read economic assistance and loans) from China. The obvious reason for such acquiescence is China’s phenomenal rise as a superpower, a development that has threatened America’s decades-old dominance in world affairs. Perhaps Duterte is convinced that the fulcrum of global politics has shifted to Asia. He sees the US as a sinking ship that must be abandoned, and so has chosen pragmatism over patriotism and long-time relations with Western powers. What isn’t clear to Duterte is that as an economic power, China needs to play its role in the global market economy. It cannot afford to be isolationist, that is, rely on its huge domestic market alone to sustain growth. This requires offering concessions to other major global actors and drawing to its orbit nations that are less developed but rich in strategic resources. This is why it has expanded its economic influence in the African continent and ironed out trade relations with the US. Duterte should have taken a cue from these moves that a country has neither friends nor enemies, only interests, a truism that could have guided his policy vis-à-vis the geopolitical designs of China. Meanwhile, China’s promise of large-scale investments, the singular thing that motivates the Philippines’ submission to Chinese incursion in the West Philippine Sea and tirades against the West, has remained a promise almost two years into the Duterte administration. In 2016, most equity capital investments came from Japan, Hong Kong, Singapore, the US and Taiwan. Last year, the bulk of equity investments came from the Netherlands, Japan, Singapore, Hong Kong and the US, according to the Bangko Sentral ng Pilipinas.